Americans love their dogs, with four-legged friends a part of as many as 47 percent of all households in the United States according to the ASPCA. In response to consumer demand for dog-friendly retail centers, nearly 30 JLL-managed properties are now encouraging shoppers to bring their canine companions to the mall for themed events from 5 p.m. to 8 p.m. each Wednesday in August, starting tomorrow. August 5: Fashion Hounds – Let’s play dress up. 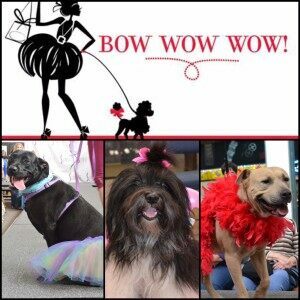 Stop in to participate in a pet fashion show and costume contest. August 12: Forever Homes – This pet adoption night is designed to find a home for needy pets.. Stop by and help dogs from partner organizations find their forever families. August 19: Bone-appétit – Get nutrition and fitness tips from local vets, sample food and more to keep your pup healthy from nose to tail. Participating centers include: Aiken Mall, Central Mall – Fort Smith, Central Mall Lawton, Central Mall Port Arthur, Central Mall Texarkana, Chico Mall, Coventry Mall, Fairgrounds Square Mall, Galleria Mt. Lebanon, Hilltop Mall, Killeen Mall, Mall de las Aguilas, Mesilla Valley Mall, Metrocenter, Myrtle Beach Mall, Providence Marketplace, Rosedale Center, Salem Center, Shops on Broadway, South Park Mall, Southbridge Mall, The Galleria at Fort Lauderdale, The Streets of Tansabourne, Valdosta Mall, Washington Square Mall and Westgate Mall. Categories: Americas Retail, Malls, Property Management and tagged Dog Days, Dogs, Events, JLL, Mall, shopping center.